Have you ever been in any situation where you were already in a long position and you had to watch your potential profit vanish right before your own eyes because your trade reverses direction? What if there was a low risk way to sell near the top or buy near the bottom of a trend? Guess what? You can do all this with Divergence Trading! When a currency pair is diverging, it means that the price and momentum are not in sync with each other and action is moving in a less stable pace such that the possibility of a reversal increases. The magnitude of price momentum is measured by the length of short-term price swings. The beginning and end of each swing is established by structural price pivots, which form swing highs and lows. Strong momentum is exhibited by a steep slope and a long price swing. 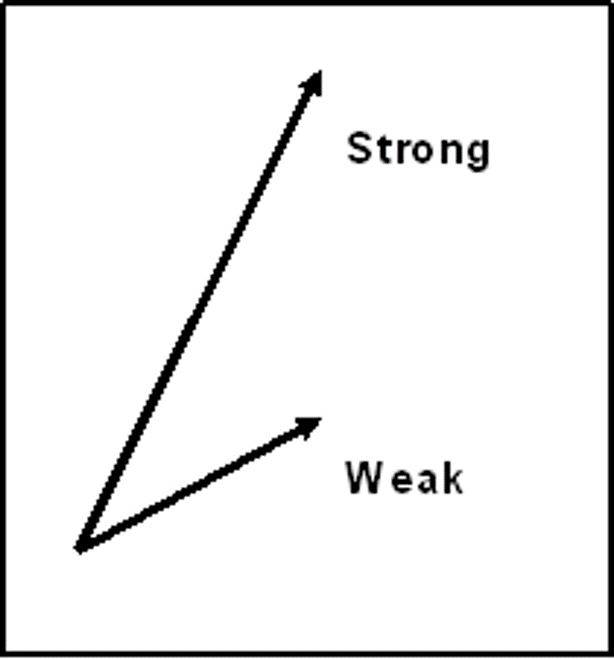 Weak momentum is seen with a shallow slope and short price swing. For example, the length of the upswings in an uptrend can be measured. Longer upswings suggest the uptrend is showing increased momentum, or getting stronger. Shorter upswings signify weakening momentum and trend strength. Equal-length upswings means the momentum remains the same. 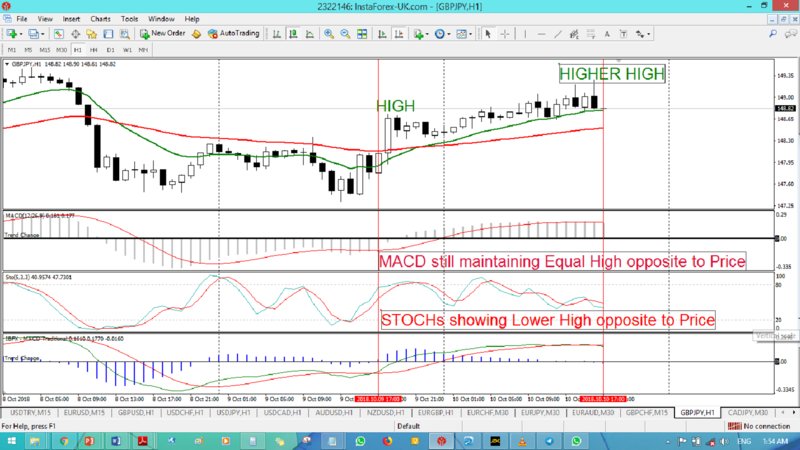 Common momentum indicators for measuring price movements include the relative strength index (RSI), stochastics and Moving Average Convergence–Divergence (MACD). In the image below is an example of how Oscillators are used to measure momentum. We can always use the default settings of these Oscillators. RSI has fixed boundaries with values ranging from 0-100. 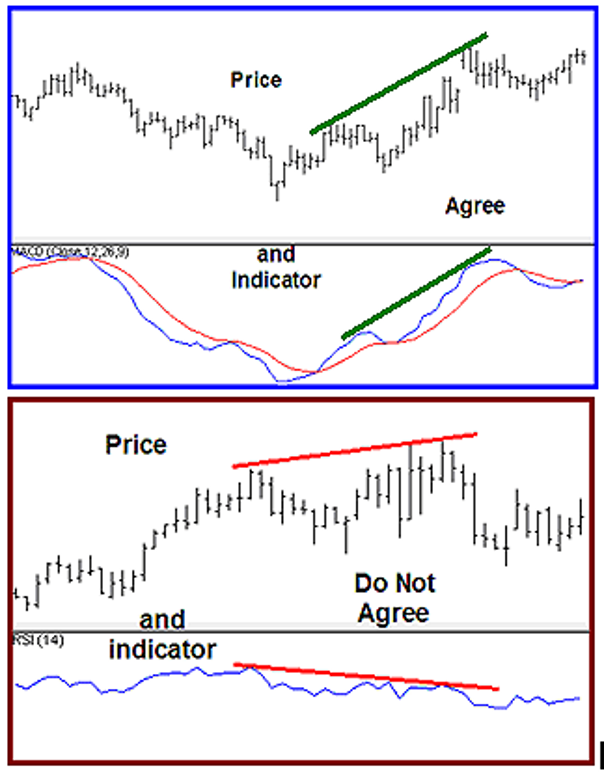 The study of momentum & divergence simply checks whether price and the indicator agree or disagree. It also helps to compare price and indicator to make better trading decisions. 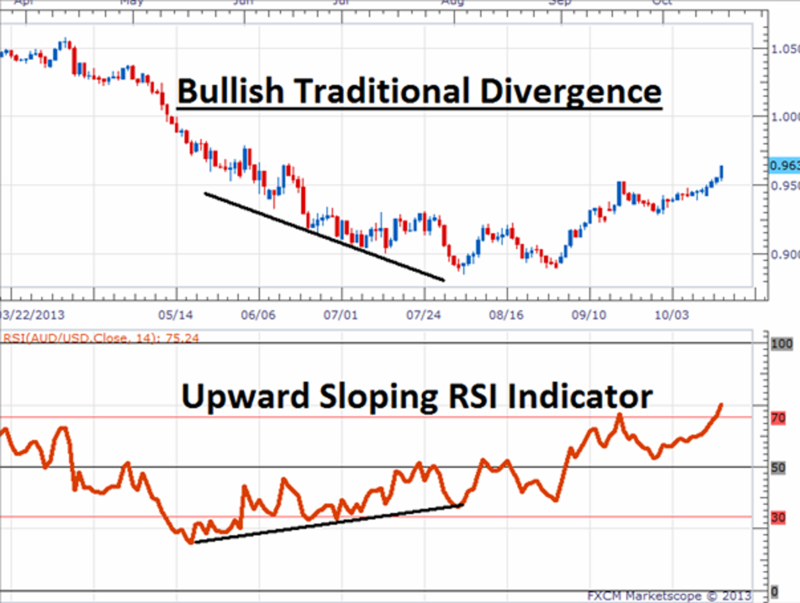 For each upswing in price, there is a similar upswing in RSI. When price swings down, RSI also swings down. Price swings are not always easy to evaluate with the naked eye because price can be choppy. Momentum indicators (OSCILLATORS) are commonly used to smooth out the price action and give a clearer picture. They allow the trader to compare the indicator swings to price swings, rather than having to compare price to price. The word divergence itself means to separate and that is exactly what we are looking for today. Typically indicators such as RSI will follow price as the currency pair climbs or declines. So when the asset goes lower, usually so will the indicator. Divergence occurs when price splits from the indicator and they begin heading in two different directions. In the diagram, we can see the price chart with RSI doing just that in the diagram. Of these 3 signals, divergence is definitely the most complicated. Divergence occurs when an indicator and the price of a currency pair/asset are heading in opposite directions. Negative Divergence happens when the price of a currency pair makes a higher high and a major indicator (Oscillators)—such as the moving average convergence divergence (MACD), Stochastics or ,relative strength index (RSI)—heads downward. Conversely, Positive Divergence occurs when the price is making a lower low but the indicator starts to rise. These are usually reliable signs that the price of an asset may be reversing or making a retracement. Be aware that divergence can occur over extended periods of time, so tools such as trendlines or support and resistance levels should also be used to help confirm the reversal. Thanks for reading! Let me know what you think about this strategy! 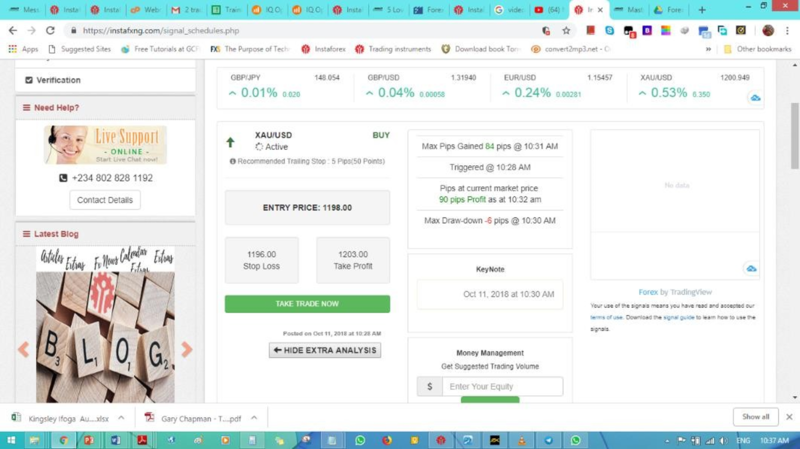 Would you try this strategy on your trade? I'm on standby waiting to read from you! Reply Aniefon Ben Frank's comment on Price Action Series #2: Trend Reversals and Divergence. Sorry about that, it's because you are new to Forex and you are not yet familiar with the market. By the time you are done with your training. You would be able to understand and analyse the graph. Have you started the training yet? 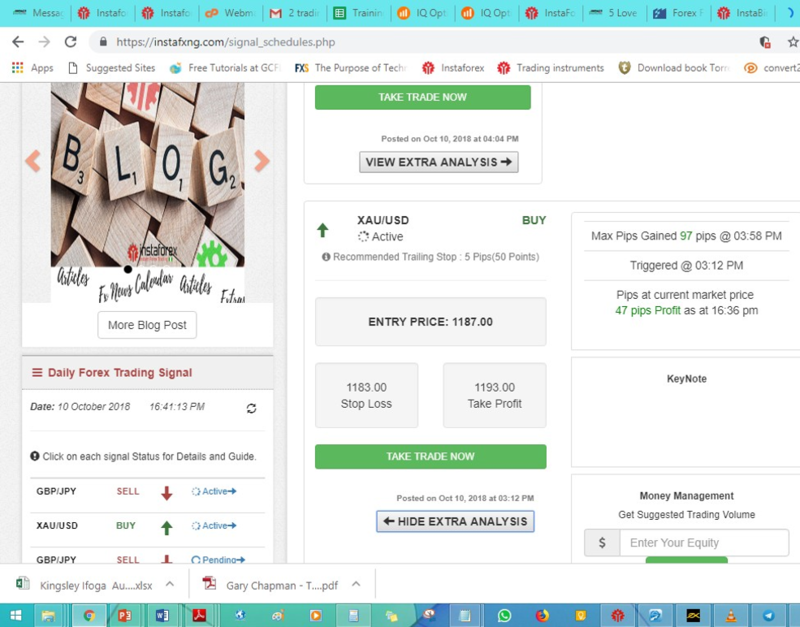 Reply Instaforex NG's comment on Price Action Series #2: Trend Reversals and Divergence.